Bayer dates back to 1863 when Friedrich Bayer founded the company as a manufacturer and seller of synthetic dyestuff. In 1897, Bayer went global with the “drug of the century”—aspirin. 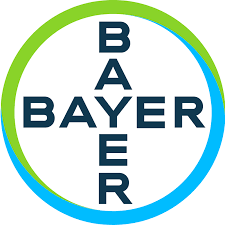 In 1924 the Bayer Crop Protection Research Department was established. The world’s first systemic insecticide, Systox™, was launched in 1951. From this first glimpse into the value of integrated biological and chemical approaches, a half century of innovation followed, transforming the growth potential of agriculture worldwide. In 2002, Crop Science was launched as the first legally independent Bayer subgroup and has been providing crop protection products, seeds, traits and pioneering environmental solutions ever since. Crop Science has its global headquarters in Monheim, Germany, and its South African headquarters in Isando, Gauteng. In 2016, Bayer opened an office in Zambia to focus on the local agricultural sector through its Crop Science Division.